Sorry if this has been answered before, but how would I go into enabling / adding the health bar / player name (that shows up when you spec / are dead / when you just spawned) into a hud for which it doesn't work? I'm using a quite old hud, [url=http://puu.sh/m2jF6/5aa0484d13.rar]Rad's Hud[/url], I updated some parts but I can't get this to work. I already added the lines in SpectatorTournament.res and the font (from [url=http://www.teamfortress.tv/post/456799/new-hp-bars-not-working]this post[/url]), but it had no effect. 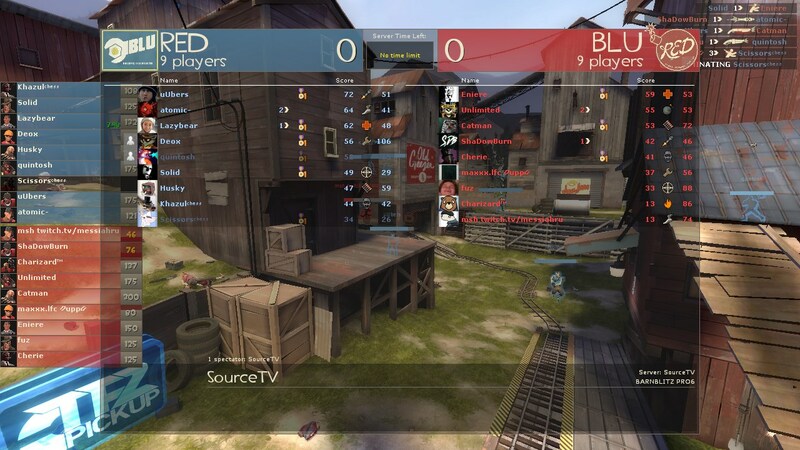 [quote=Kaptain]Sorry if this has been answered before, but how would I go into enabling / adding the health bar / player name (that shows up when you spec / are dead / when you just spawned) into a hud for which it doesn't work? I'm using a quite old hud, [url=http://puu.sh/m2jF6/5aa0484d13.rar]Rad's Hud[/url], I updated some parts but I can't get this to work. I already added the lines in SpectatorTournament.res and the font (from [url=http://www.teamfortress.tv/post/456799/new-hp-bars-not-working]this post[/url]), but it had no effect.